As the longest-serving member of the Marvel Cinematic Universe – RDJ first declared that he was, in fact, Iron Man all the way back in 2008 – it’s almost difficult to imagine a future in which Robert Downey Jr.’s version of Tony Stark is no longer needed within the MCU. In two weeks’ time, RDJ will be making his seventh appearance as Mr. Stark thanks to the release of Spider-Man: Homecoming, and while doing press rounds for Jon Watts’ imminent reboot, Cinema Blend quizzed Robert Downey Jr. about why he keeps returning to the Marvel universe…you know, besides the lucrative paychecks. Now that the core Iron Man saga has been placed on ice, and Phase 3 of the Marvel Cinematic Universe is coming to a head with the launch of Infinity War and its untitled sequel, many believe that Downey Jr.’s days in the Marvel movie machine are numbered. And though that may well be the case, the actor offered up some insight into what goes on behind the scenes during his interview with CB. It’s by no means a quote to stop the presses, but at the very least, it does indicate that Robert Downey Jr. remains relatively open to appearing in a Marvel movie, whether that involves a headline role (see: Civil War), or taking a back seat in the vein of Spider-Man: Homecoming. 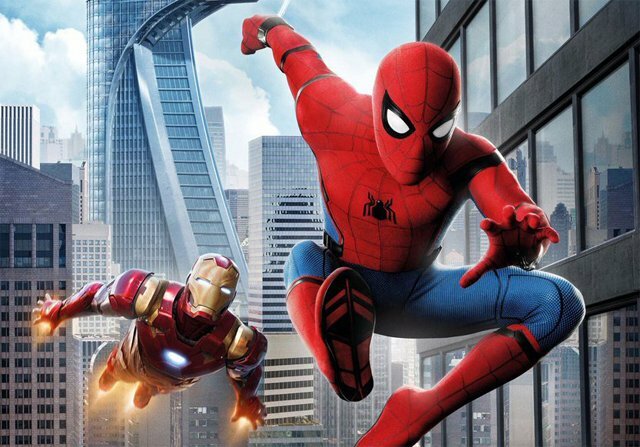 Next up for Robert Downey Jr. and the Marvel Cinematic Universe is Spider-Man: Homecoming on July 7th, before that Stark/Parker duo carries over into Avengers: Infinity War on May 4th, 2018. Both RDJ and Tom Holland will likely share the screen once again for the as-yet-untitled Avengers 4, before Tony Stark/Iron Man is replaced by another Marvel hero in time for the release of Homecoming 2 on July 5th, 2019.